Italian Charm Venetian Mask in Vermeil (gold plate) over .925 Sterling Silver measuring about 15mm tall (without the jumpring) and about 12mm across. 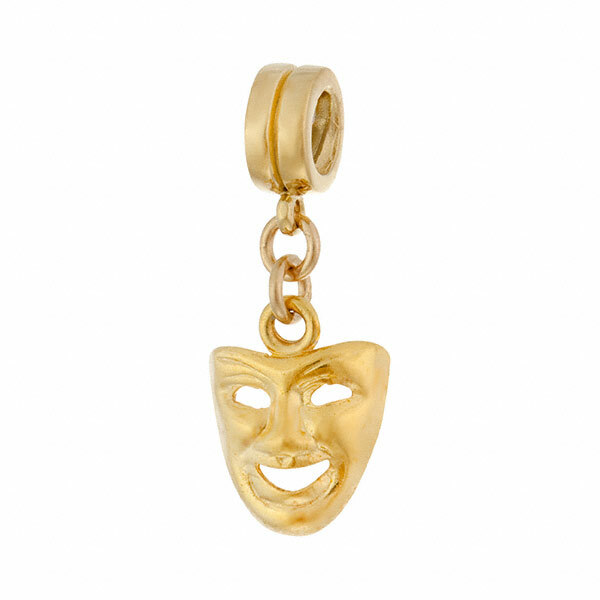 The most popular and well known of all the masks - the Comedy (Tragedy) is a classic sign of the theater as well. Popular Souvenir of Venice. Use your own Venetian Charm Bracelet or buy 2 and make earrings.